The first thing I did when I came to work this morning was giving Vanguard a call, again. When I filled out the IRA asset transfer form to move all Vanguard funds in my IRA account from Scottrade to Vanguard, I provided a blank check and instructed Vanguard to automatically invest $200 into each of the four funds every quarter, starting February (that’s the only option available on the form for quarterly automatically investment). Last night, I logged into my account to check if my automatic investment plan has been correctly set up before the investment date of February 5th. There was nothing! No bank information on record and, of course, no automatic investment plan. When I called Vanguard and asked for an explanation why there’s no bank information even when I attached a blank check, the story the CSR told me was that since there are two names on the check (mine and my wife’s since it’s a joint account), they can’t use that information to fund my IRA account because the IRA account only has my name on it! I don’t know how many accounts I have opened so far, joint or individual, and this is the first time I heard that an joint bank account can’t be used to fund an IRA (which is an individual account) unless with a signature guarantee from the other party. My angry isn’t really about whether this is right or wrong, but that they found something that’s not right (according to their rules) and they just let it go without informing me. If I don’t check my account and don’t call, this probably will never be corrected. When I asked the CSR the same question, he said they don’t think this is a problem. 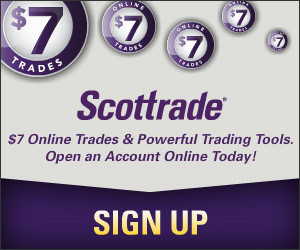 I transferred my IRA account from Scottrade to Vanguard, I wrote clearly on the application form I want to establish automatic investment plan, I provided a bank check with all the necessary information, and they found they can’t do what I want to do for me but don’t think that’s a problem! Then what all these are about? Just to have fun so I can kill some time? If it’s not a problem, then what is it? After putting me on hold for nearly 20 minutes, the CSR came back and told me they actually use the bank information to set up the automatic investment plan and said sorry about the mistakes. At one point I asked the CSR to check how many phone calls I had made in the past three months and he told me maybe about 20 times. I don’t call you 20 times because everything is fine. For a simple account transfer, which itself took two and half months, how many mistakes have you made, Vanguard? How many mistakes you allow yourself to make? Infinite? Or as long as you keep making them? I had similar problem with transferring IRA to Vanguard. They lost the form that I mailed them. Two forms in one envelope, and they said they only received one. The CSR told me that “I do not want to review that anymore”. As a result, I pulled all my money out of Vanguard. Yes, their cost is low, but it’s also a price you need to pay. The 10 Greatest Books of All Time: Have You Read Them?